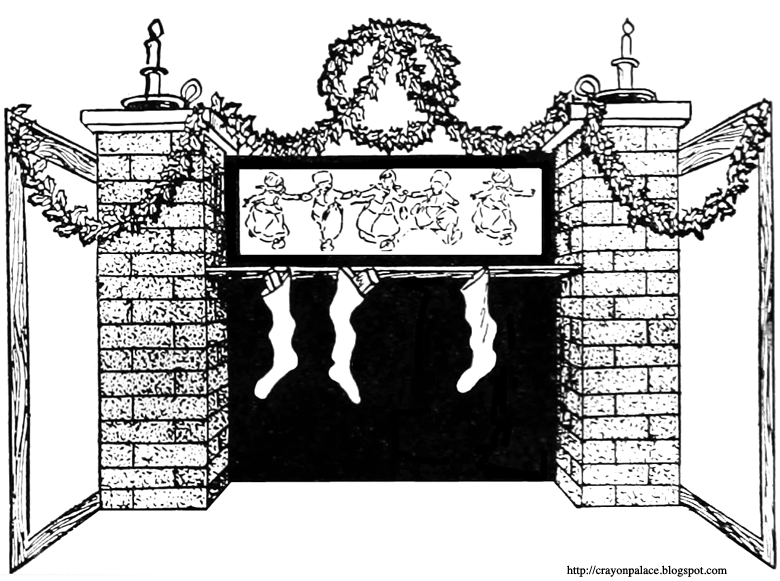 Description of Coloring Page: Color a warm welcome for Santa Claus! 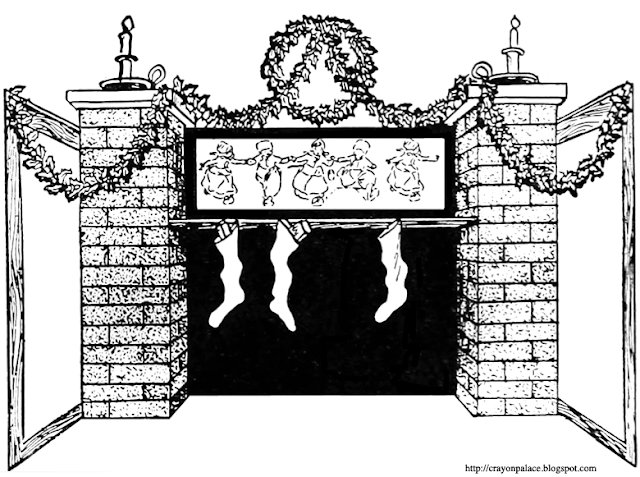 Need a cozy fireplace for Christmas fun at your doll's house? Here is one with stockings and holly swags, wreath and candles. Color the brick bright red and the trim traditional green. Paste right onto the walls of your doll's home and you have a home ready for the Christmas festivities!